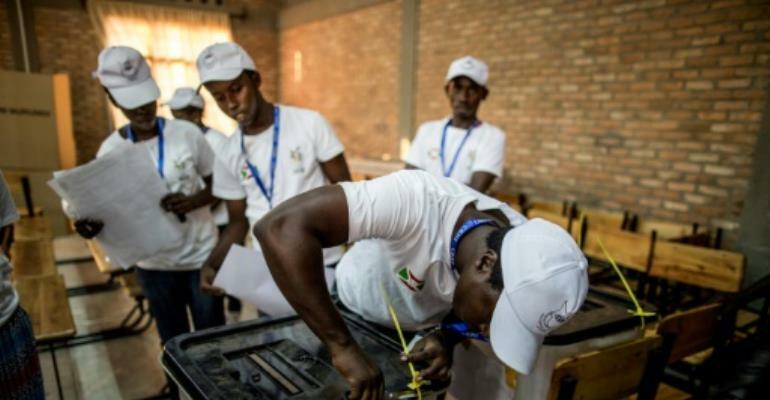 Burundi is not ready to hold credible elections because the ruling party and its allies remain firmly in control of political life and tensions remain high, a UN envoy said Monday. UN envoy Michel Kafando told the UN Security Council that the political situation remains "tense" in Burundi and that conditions are not right for elections. "Only the majority party and some other allied political groups are able to conduct unobstructed political activities," said Kafando, adding that the economy was suffering as a result of the turmoil. "Such a situation cannot be suitable for the organization of credible elections." The president has refused to hold talks with the opposition, despite a mediation set up by regional countries under former Tanzanian president Benjamin Mkapa. Kafando, who briefly served as president of Burkina Faso, said that while the security situation had improved, human rights abuses continue to be reported. Burundi's Ambassador Albert Shingiro said the country was working to create a "suitable environment for democratic, free, transparent and peaceful elections" in 2020. He asked the council to remove Burundi from its agenda "because the situation in the country is generally calm and poses no threat to international peace and security." In a report presented to the council this month, UN Secretary-General Antonio Guterres criticized Nkurunziza's move to hold a constitutional referendum, saying changes to the charter must be done in an "inclusive" manner. A UN commission of inquiry set up in 2016 has found that crimes against humanity have been committed in the violence in Burundi.